Where did last night go? Abandoned by Simon while he was off in Colchester ‘being a rock star’ his words not mine. 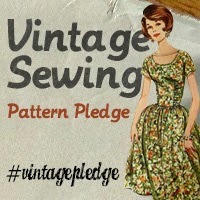 I had plans, mostly sewing and it didn’t really happen. Have you ever got to the end of an evening disapointed that you haven’t done as much as you were expecting, but then after really thinking about it you realise that although you might not have got done what you were expecting but you achieved a great deal. Up first was the Thurlow trousers I had planned on finishing them, they should already be finished but once the waist band was on I realised there was something funky going on with the back, they fitted alright but one of the pockets on the front was freakily smaller that the other unless my hands were woefully unblanced. I did eventually get the waist band on, though the top part of the trousers seemed to have stretched 2 inches, also I drew the back line in with chalk instead of doing it by eye and I didn’t carry the stitching line up through the ‘foldy over bit’ which then made the the lining of the waistband too small, which was one of the reasons there was ‘something funky’ going on. Going by Butterick 2535 I went through the dresses hanging up waiting to be hemmed and cut 2 inches off the bottom of each of them. This should make a good difference to where the length comes to. 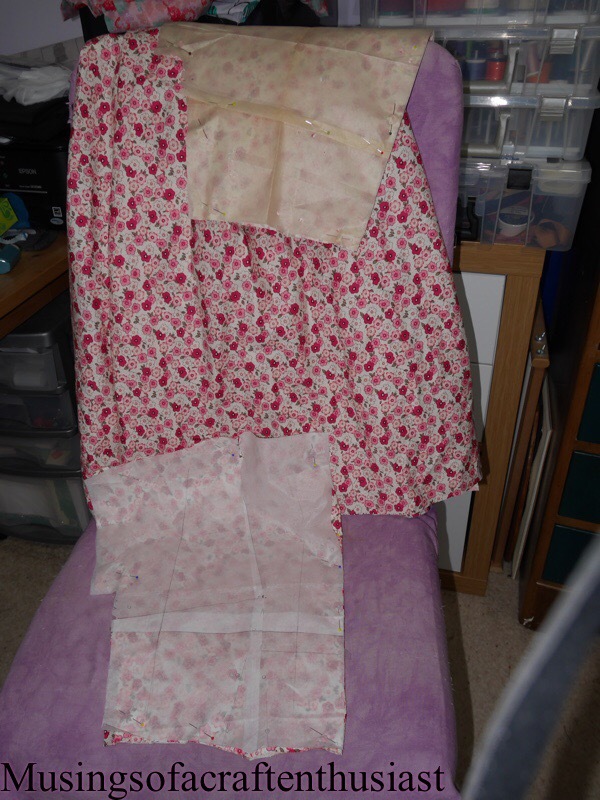 I took the bodice off of Butterick 7556 (pink flowers) and recut it, the facing hadn’t been sitting properly so it would have need to have been taken off anyway. 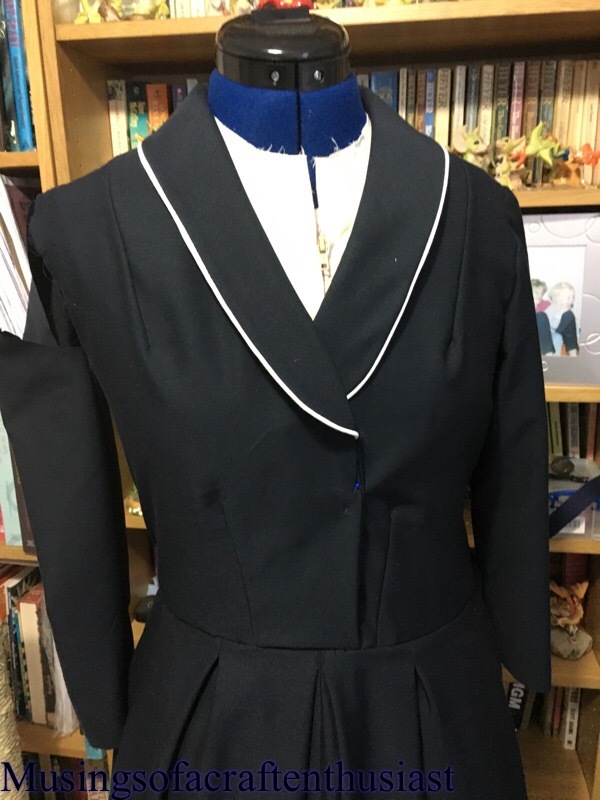 So I did a SBA on the front and also took an inch out of the length of the bodice, I was a bit concerned that the photos I took of the first one as I looked a bit of a shapeless blob, if it doesn’t look alright I can alway just use the skirt. 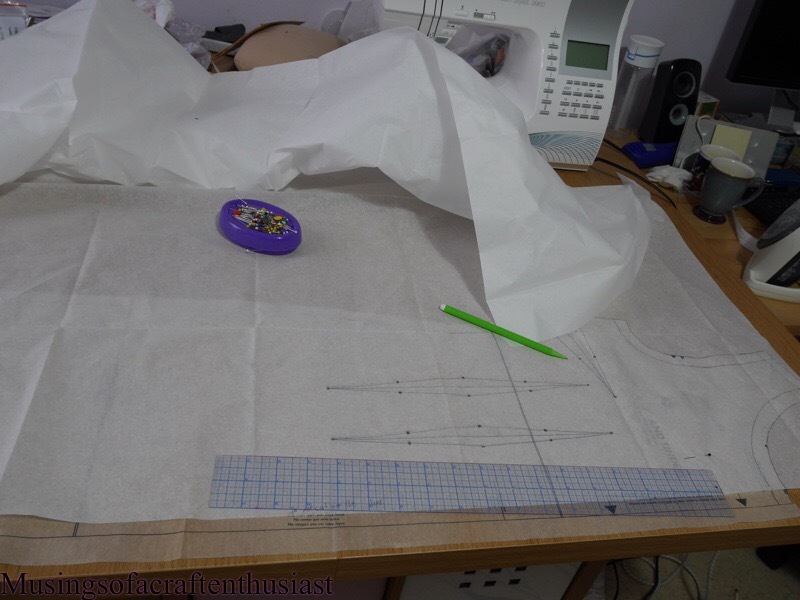 The last thing I did was to narrow the pattern for Butterick 2535, I really couldn’t work out how to do a SBA on this pattern but it is too wide so something had to be done. 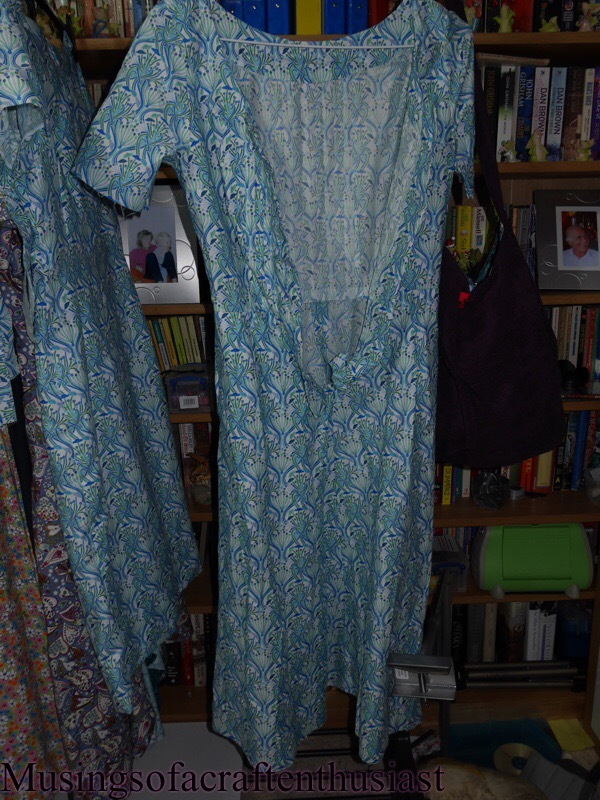 in the end I recut the pattern, as the neckline is too wide I just took 1/2 inch out of the center of the pattern, but I then had to add the 1/2 inch on to the other side for the waist and hip seam. 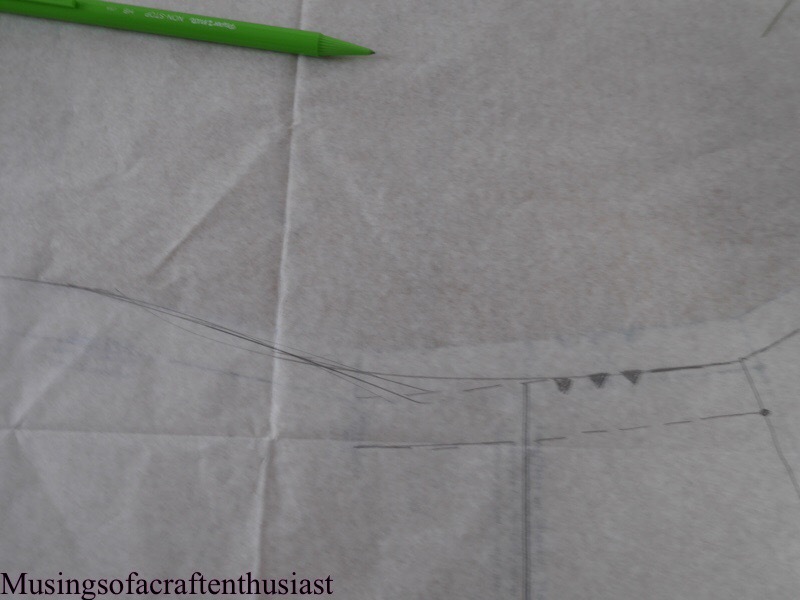 I also found a zip to put into my Gertie sweetheart neckline dress. All in all a productive evening but not what I expected to do, how about you ??? Sewaholic had it’s five year anniversary sale earlier this month and I decided to take advantage of it, especially after seeing the Thurlow trousers, they are almost identical to a pair that I have been wearing for the last few years and to be honest they are getting on a bit. 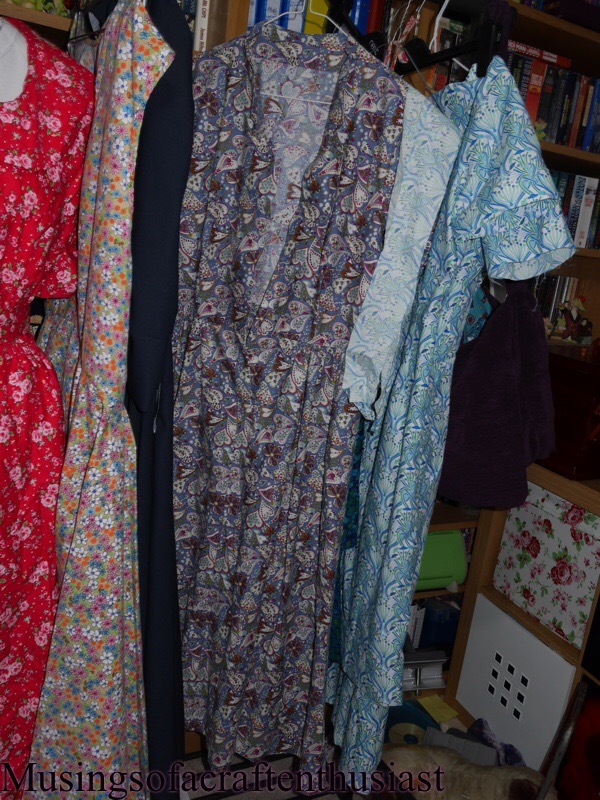 I bought four patterns, well it was buy one get one free, to be honest I liked the Davie dress before I realised it was stretch fabic and the skirt was there to make up numbers I really wanted the Belcarra blouse but it was unavailable(something to put on my christmas list ). I read up on Lladybirds sewalong and after measuring my existing pair of trousers decided on a size 2, I’m a waist 26 and hip 37 at the moment. 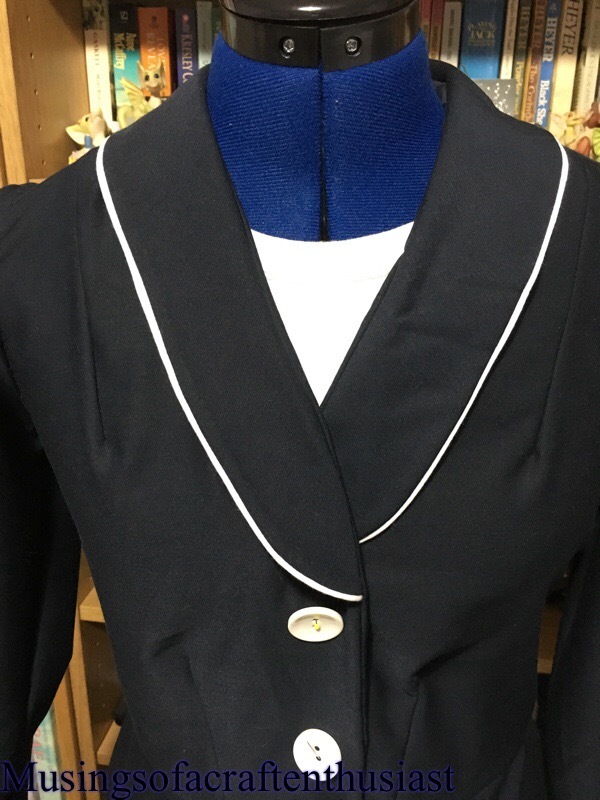 I decided to use some gabardine fabric that I got cheap from ebay, when it arrived I realsed it was horrible, it was quite thick, very frayey and had a slight sheen to it, (no wonder it was going cheap). After cutting out the first thing you do is make up the front pockets. and attach them to the front pieces. I skipped the welt pockets on the back as this was just a test piece for size. I tried to skip the putting in the zip step as well and went straight to stitching the legs together, big mistake, without the zip inserted correctly you can’t judge how the front is going to lay. I went back and put the zip in, which would probably been a darn sight easier had I not stitched the legs together. which I don’t think looks too bad, even though I fudged putting the waist on, which you can see in the way the seams don’t line up. 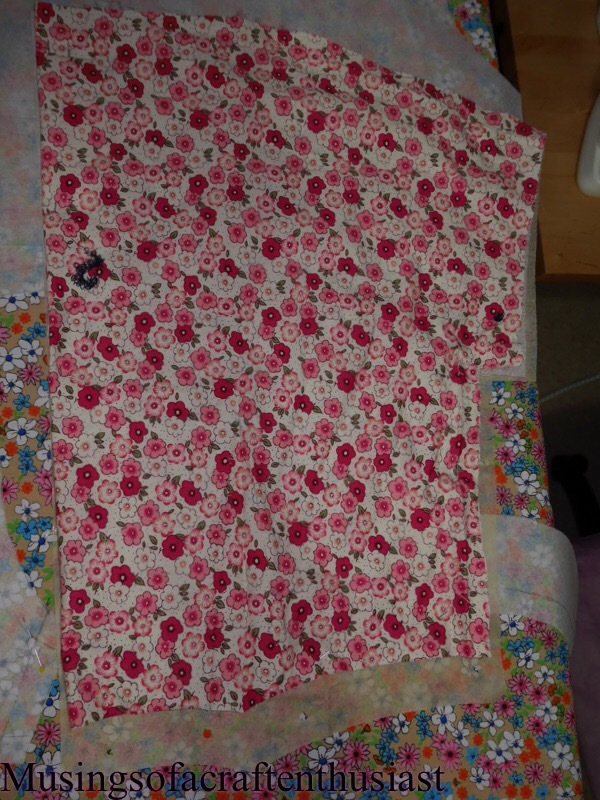 you can also see from this picture that I didn’t take up the pattern before cutting out, I have taken two inches out of the length I should probably take another half inch out but I do like to wear my trousers long. I am quite pleased with the fit, I will add 1/4 inch to the front as although the back and sides were good, I wanted the front higher. This is probably not the best photo and I should have got my camera and tripod out. One note on the fabric once it was made up I liked it a lot better, in fact I’m planning on taking them apart and and putting them together properly. my comments on the pattern instructions, they aren’t as clear as they could be, I wasn’t always sure if it was right sides together, on top of each other or wrong sides together. 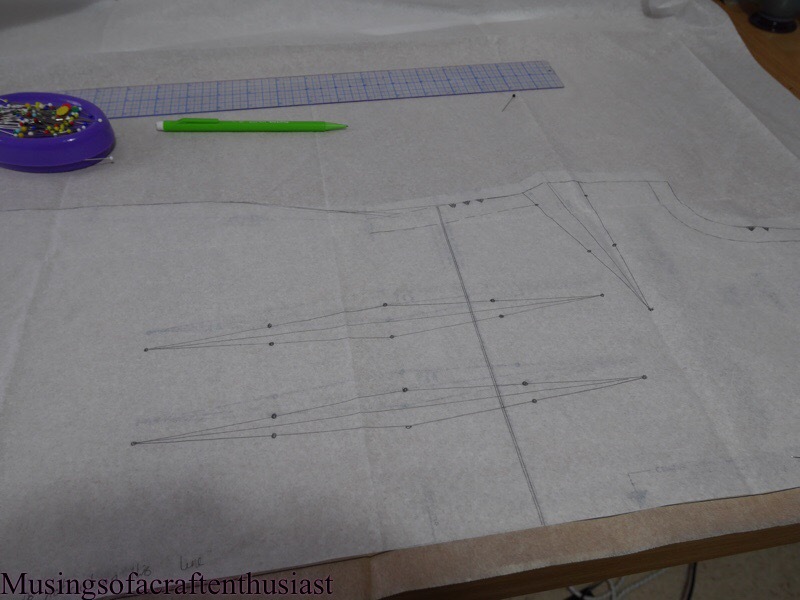 I am going to make this pattern again but once I get the fit exactly right I’ll probably play with the leg, I like a bootcut tighter on the thigh then going out to the flare, but these are very comfortable. I am going to make view C using the short option. It seems as if even in the 60s/70s I was short…..
As you can see looking at these three pieces, there is a greater length difference between medium and tall to medium and short. The difference in medium and short is 1 inch on the bodice and 2 inches on the skirt. Once I have put this dress together (with no alterations ) if it fits I will finally know how much I should take out of the bodice, but more importantly how much to take out of the skirt to make it closer to the length the designer envisioned. then the shoulder and side seams and the kick pleat at the back, I tried the basting option on my sewing machine for the first time, I won’t be using that again. Usually I just make the stitch length as long as it will go. Basically with my sewing machine you put on the darning foot and pick the basting stitch which puts one stitch in at a time and is a blinking nuisance. 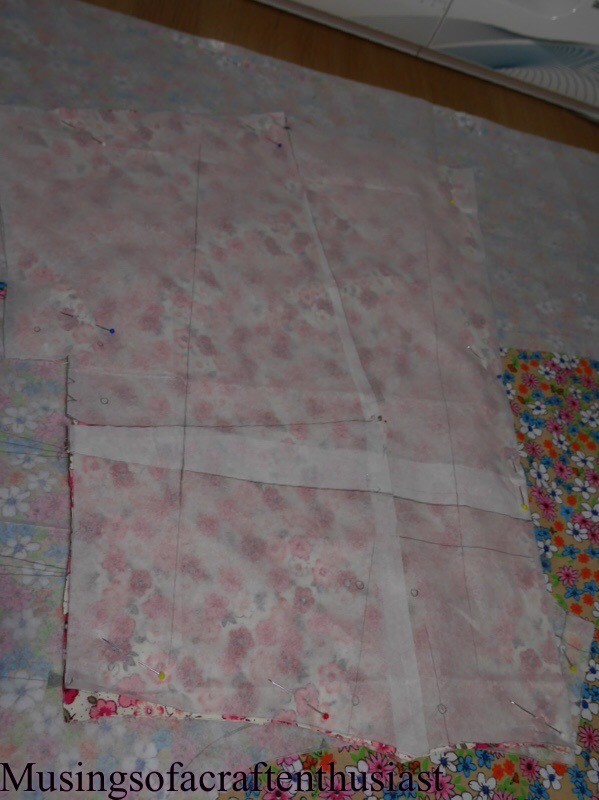 I could have basted by hand faster and the stitch would have stayed in long enough to be useful. I am very pleased with fit of the dress, I should have done a small bust adjustment and if I make this dress again I will probably do that. 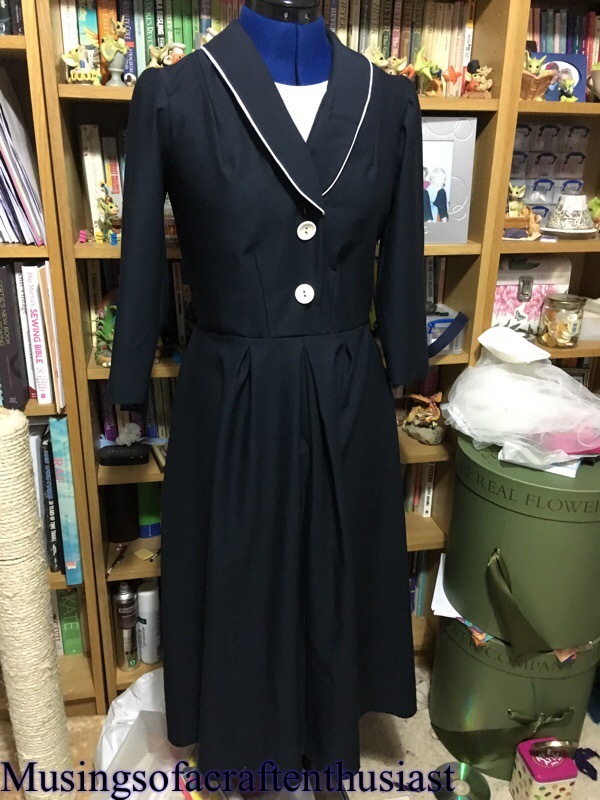 I am very proud of the overall finish, I have over-locked the seams and the edge of the facings, as advised by the pattern I have used seam binding on the hem and the sleeves. I am determined to get a blog post out tonight so here goes…. As I said in my previous post I had a problem with the sleeves and the collar, first off the the collar I misread the the instructions and it ended up about an inch and a quarter short, not too bad you say, and you would be right all it meant was that instead of folding over each other the met in the middle ( I thought I took a photo, obviously not) it was one of those things I knew would niggle at me so I changed it, at the same time I also decided that the dress was going to be too dark so I thought about piping. Of course once you start with a little bit of piping you can’t just leave it at that I think that I am going to have to add cuffs to the sleeves with a bit of piping around the top of the cuff. As you can see above I am going to use white buttons and probably make a white belt for it. when I put it on to show Simon (without the buttons he thought it looked like a Habit. 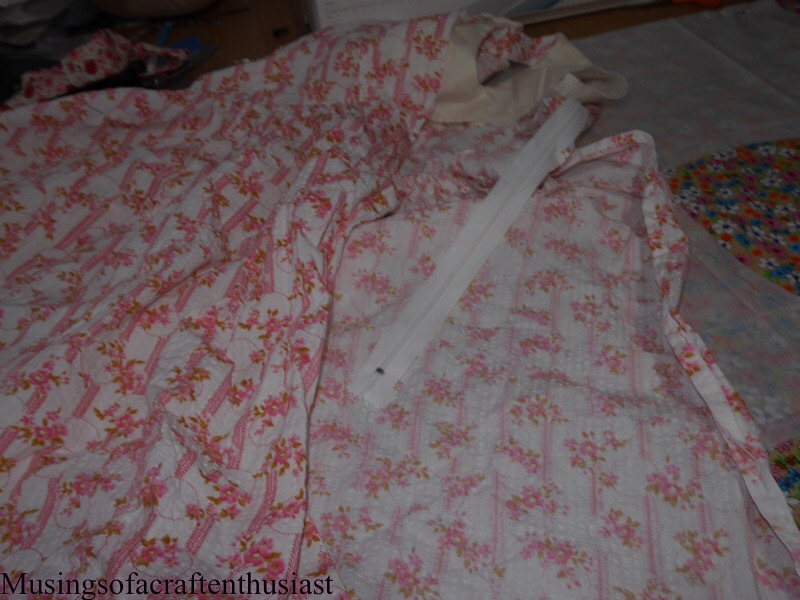 The problem I had with the sleeve head was that there was far too much fabric in it, considering that it was supposed to be a nice smooth sleeve insertion, there was about 2 inches too much fabric, so I shaved a sliver off the whole sleeve head. It seems to have almost fixed my problem and a good iron should sort it out. The piping was a lot easier than I thought, I tried googling it to start off with and watched a lot of people make cushions on youtube, full disclosure it was ready made piping.